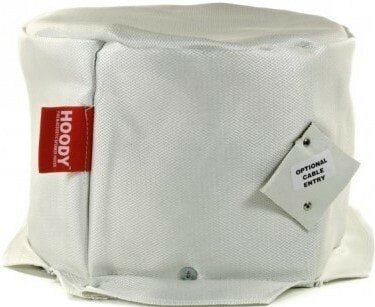 Hoody 1.0 Medium Fire and Acoustic Speaker Hood is designed for 5"-6" round in ceiling speakers. Alternative sizes available too. Hoody 1.0 Ceiling Speaker Fire and Acoustic Hood for 5" to 6" Speakers (265 x 160mm) meets all UK and EU building and IEE Regulations. 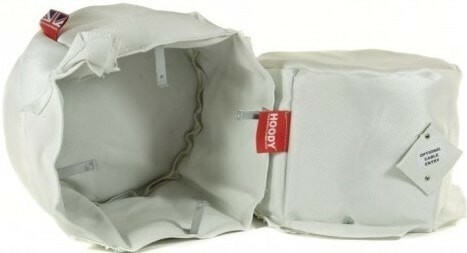 Hoody is especially designed for in-ceiling speakers and features a fire rating of up to 90 minutes, complies with Parts B,L,C and E and covers all makes of speakers from 5" to 6" designs. Hoody is a range of Fire and Acoustic speaker hoods that will bring all your installations into conformity with the latest IEE and Building Regulations for Fire and Acoustic integrity of ceilings. The regulations state that once a hole has been made in the ceiling for a speaker, the integrity of its construction and its ability to perform in a fire is significantly reduced. Hoody, due to it acoustic construction will also stop a large amount of backwards sound leakage from the speakers to the rooms above its location, making in-ceiling speaker installation below a child’s bedroom, for example achievable. 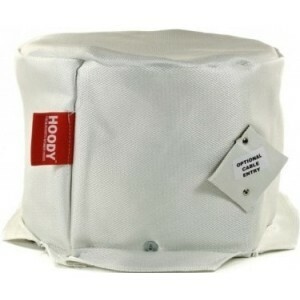 Hoody suggest an Acoustic Fire hood is fitted to all ceiling speaker locations, but it is a requirement that hoods are fitted to all in-ceiling speakers that are installed where a ceiling is rated for 30 mins or more to ensure compliance. If you are unsure, be safe… always fit a hood. For example, a standard two storey house will require all the ground floor speaker locations to have hoods fitted to retain the ceilings 30 minute fire integrity. If a house has three storeys you will need hoods fitted on the ground and first floor to correctly comply with the regulations.